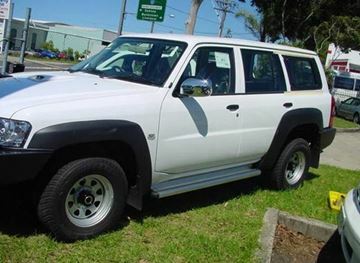 At Opposite Lock Bundaberg, we recommend East Coast Bullbar (ECB). 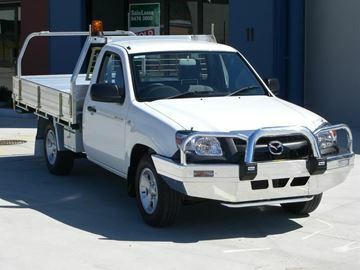 ECB make all their alloy bullbars and alloy nudge bars in Australia! Whilst adding minimal weight to your vehicle but retaining maximum strength, ECB Bullbars are designed with an ‘industry leading wall thickness’. Being light means you are less likely to need a suspension upgrade. 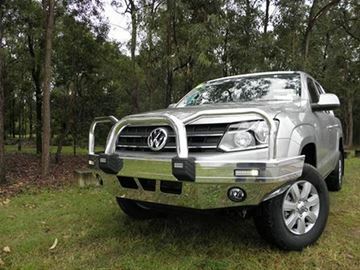 Available in different finishes, ECB’s alloy bullbar is certain to suit your need and style. 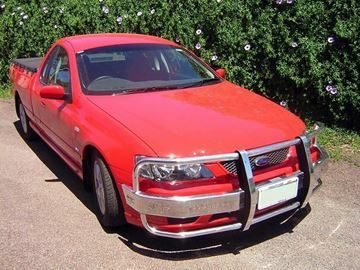 2013 Ford Falcon polished alloy bullbar, protection with out cutting of the original bumper, call for a quote today! 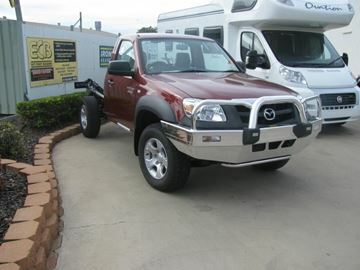 Polished Alloy Allbar to suit Mazda Bt50 2012 .... full protection, call for a quote for your vehicle today! 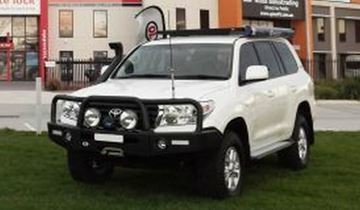 When you're looking for the ultimate in vehicle protection, you can depend on the rugged, no compromise reliability this Bullbar This is manufactured from high tensile, structural grade alloys and features fully gusseted 63mm headlight tubes. 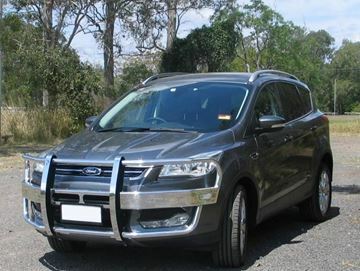 2014 Ford Kuga polished alloy bullbar supplied and fitted Protect your vehicle from the unexpected, call for a quote today! Polished Alloy Allbar bullbar to suit 2014 VW Amarok with fog lights, a product that compliments the vehicle, call for a quote today for your vehicle.... Suits the Trendline model. 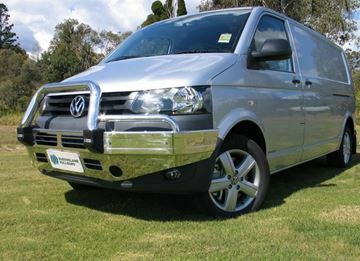 2013 on VW Transporter polished alloy bullbar to suit with Front Parking sensors. 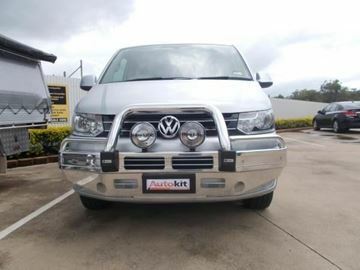 These are a non bumper cut style and alloy plenty of ventilation to the vehicle. Prepare for the un-expected, call for a quote today!!! 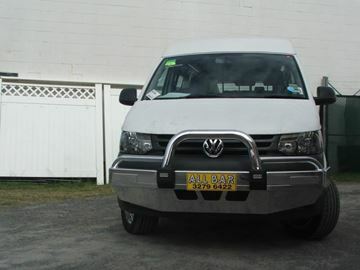 2014 VW Transporter Van Polished alloy bullbar and roo lite combination, plenty of protection,plenty of airflow, and does not cut the bumper if ever you want to remove the bumper....call for a quote for your VW Today! 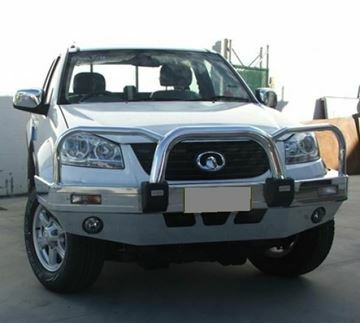 Polished alloy Allbar to suit V240/V200 Great wall dual cab, protect your vehicle, call for a quote for your vehicle today! 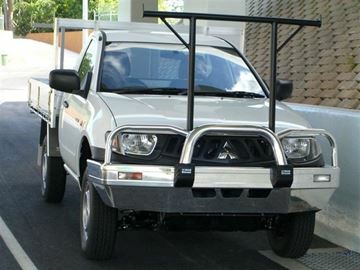 Polished Alloy Allbar and H rack to suit Mitsubishi ML/MN Triton utilities Our bullbars provide maximum frontal protection in the event of a collision with another vehicle, animal or an insured event. 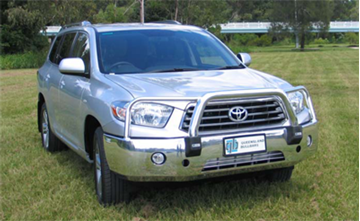 They also provide a solid base for mounting accessories, like CB antennas and driving lights. 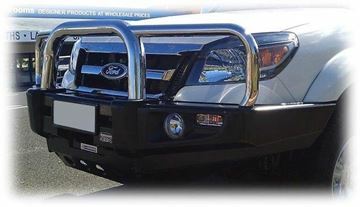 These items are a great way to improve the overall safety and functionality of your vehicle by adding a layer of protection to the front bumper bar. 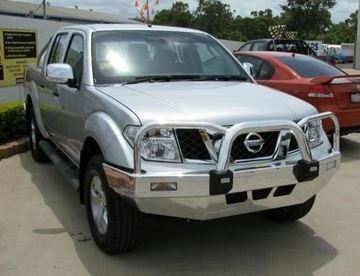 Polished Alloy Allbar to suit all models of D40 Navara dual cab including STX 550. Allbar bullbars provide maximum frontal protection in the event of a collision with another vehicle, animal or an insured event. They also provide a solid base for mounting accessories, like CB antennas and driving lights. These items are a great way to improve the overall safety and functionality of your vehicle by adding a layer of protection to the front bumper bar. 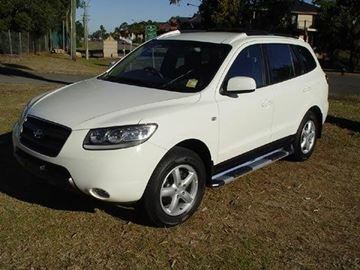 Aerodynamically designed with sleek, smooth finishes, they will add a touch of style to your ride. Air bag COMPATIBLE New Design Concept Provides Ultimate Protection with Style New style AEROBAR with loads of features: New 280mm curved channel, Part of the original bumper is retained to preserve the stylish lines, Provision to relocate fog lamps¸Spotlight mounts are standard and stylish air vents dress up the bar and provide maximum airflow.